I still remember the first time I heard her voice, it was hair-raising, crystal clear, sharp as a dagger and very mellifluous. I've heard a few of her other songs, but the one that still moves me the most is the first one I heard, "Kabhi Yanhaiyon Main Yun Hamari Yaad Ayegi" from the film "Hamari Yaad Ayegi". It's a haunting melody, and Mubarak sings it with immense feeling, making an obscure song from an obscure film by an obscure music director one of the great musical performances of the golden age of Playback. 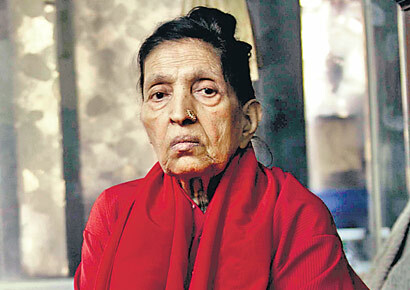 Mubarak Begum (Devanagari: मुबारक बेगम, born 1940, Sujangarh, Churu, Rajasthan) is an Indian Ghazal and playback singer. She started her career with light music recitals with All India Radio, the Indian government radio. Her career as a playback singer with Hindi film industry started when she got a break in the movie Aaiye with the song "Mohe Aane Lagi Angrayi, Aja Aja Balam" for composer Shaukat Dehlvi. She also sang a duet with the then upcoming Lata Mangeshkar. 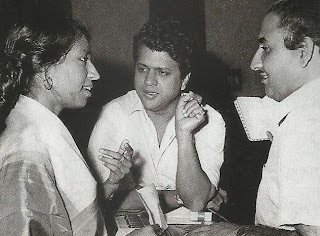 Another major hit in her career was the song "Kabhi Tanhaiyon Mein Yun" for composer Snehal Bhatkar in Kidar Sharma's film Hamaari Yaad Aayegi which is, till this day, regarded as a classic rendition. "Kuchh Ajnabi se aap hain"
"Shama Gul Karke Na Ja"
· Mohay Aane Lagi Angrayee, was the first song she recorded for the film “Aiye”, which also a duet with Lata. Several songs and several films came and went but nothing spectacular came along. Her singing career leveraged heavily on Kamal Amrohi’s film “Daera” in which she sang seven songs, some of which became popular. “Devta Tum Ho Mera Sahara” probably got the most recognition. Again the film did not do well at the box-office and this affected her struggling singing career appreciably, despite being gifted with a unique and soulful voice and rendering style. Around the same time, SD Burman recorded Woh Na Ayenge Palat Kar for Devdas, which was received very well. Bimal Roy’s Madhumati was released in 1958 and is still remembered 50 years later for its splendid musical score by Salil Chowdhry and Mubarak Begum’s “Hum Haal-e-dil Sunaenge” was one of the many hits in this very popular film. · This was followed by a string of hits in the early 60s. The haunting and soulful rendering of “Kabhee tanhiyon mein yun, hamari yaad ayegi” is timeless. It is said that the director of that film Kidar Sharma sat and listened to the entire song in the recording room with his eyes closed and opened then well after the recording was over. He said he was spellbound and there are thousands who would share those sentiments even today. Another unforgettable song of that time was “Mujhko apne gale laga lo ae mere hamrahi”, a duet with Rafi in the film Hamrahi, superbly composed by Shanker-Jaikishan. Kuch Ajnabi se Aap Hein, Kuch ajnabi se Hum composed by Khayyam to Sahir’s lyrics in Shagoon is very lilting, Bemurawwat Bewafa in Sushila, Shama Gul Kar Ke Na Ja were other gems of that era, which people hum even today. One of my personal favorites is Nigahon se Dil Mein Chale Ayye Ga from Hameer Hath. Try listening to this with the lights low (preferably all dark) and consider whether any singer can come even close to replicating this rendering. There is a female duet with Asha Bhosle titled Humen Dil De Deke Sawtan Ghar Jana, with a very unusual style. She also sang a duet with the then upcoming Lata Mangeshkar. 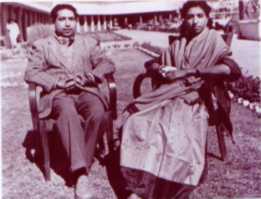 Most composers had preferring to provide her with only a few lines instead of complete songs; she had struggled to be considered for complete songs. Even later, when she happened to sing seven songs in the Kamaal Amrohi film Daayaraa, the film sank and with that her hopes of making it big in the Hindi film playback industry. Her big moment, however, finally came when the legendary film maker Bimal Roy gave her the song "Haal-e-Dil Sunayenge" in the film Madhumati. 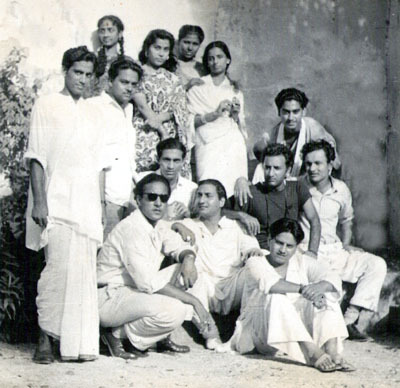 The song was one among the many hits in the extremely successful movie. But somehow, luck continued to elude Mubarak Begum, with only an occasional hit over the subsequent years. With her soulful voice and melody, and the haunting effect her voice had over listeners, she could not quite reach the heights she ought to have. A look at some of the well known songs by her makes one wonder why she could not reach the status of a Lata Mangeshkar or Geeta Dutt: "Neend Ud Jaaye Teri Chain se Sone Wale" (Yeh Dil Kisko Doon) "Kabhi Tanhaiyon men Hamari Yaad Aaegi" (Hamari Yaad Aaegi) "Aye Dil Bata' (Khooni Khazana) "Kuchh Ajnabi se aap hain" "Mujh ko Apne Gale Lagalo" (Hamrahi).